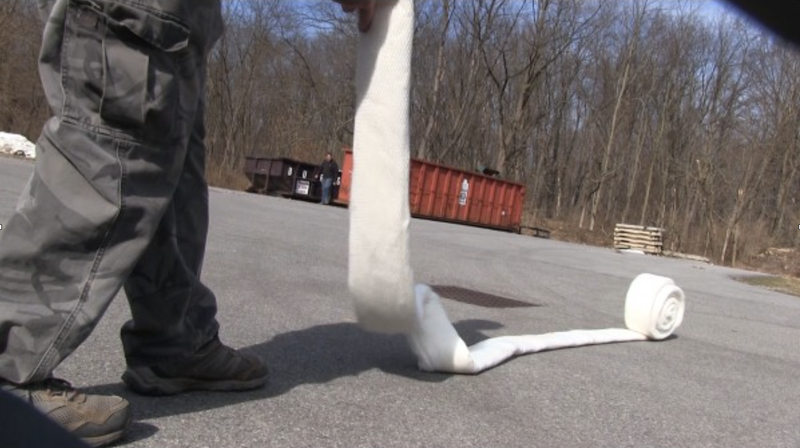 Spillboa sorbent barrier’s flat profile allows more surface area to come in contact with the water. So, it floats higher than traditional booms and holds back oil spills better. If you are the first person on scene when an oil or fuel spill happens, your number one priority is to contain the spill and keep it from spreading. That’s why you need Spillboa Sorbent Barrier. To absorb hydraulic fluids, transmission fluids, diesel fuel, motor oils, lubricants and other hydrocarbons while filtering water at the same time. The Water-Gate can be used in conjunction with a Spillboa sorbent boom to contain pollution. Whilst the Spillboa is mostly used with the WT barrier, it is also compatible with the WA and WL Water-Gates. The Spillboa is a compact flexible boom which can be deployed in seconds. The Spillboa can be clipped to the top of the barrier to control oil spills. Oil floats to the top of the water, and the Spillboa floats high to hold back and absorb oil. 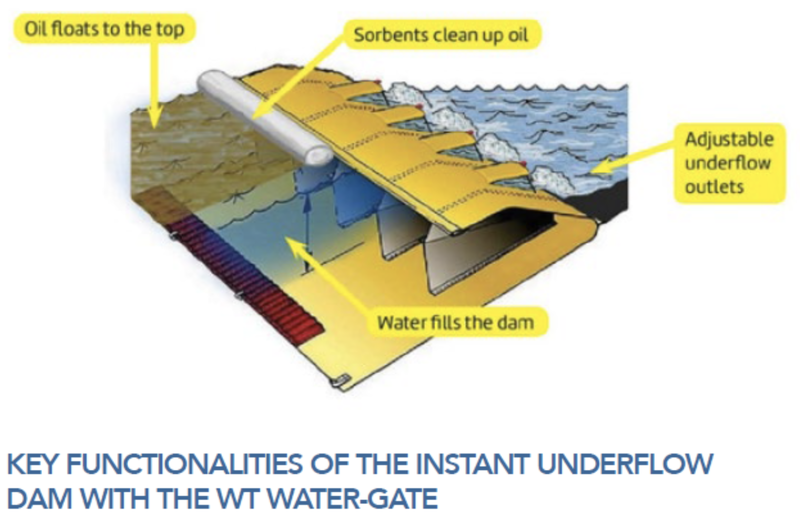 With the WT Water-Gate, if the pollutant is less dense than water, and floats on the surface, clean water can continue to flow by adjusting the underflow outlets on the Water-Gate. The outlets can be opened and closed to control the flow whilst the system is in use. It is recommended to monitor the barrier so the outlet holes can be adjusted as required. The Spillboa can be purchased from us in the UK and can also be used individually.